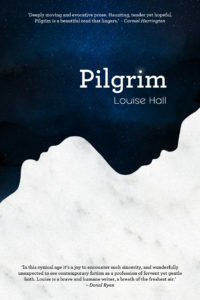 Louise Hall’s mother and sister are the inspiration behind her first fiction novel Pilgrim. Her sister Nicky was born with Down syndrome, her mother who had four other children was curious about the reports of visions in Medjugorje, so curious that it spurred her to act as a group leader to the first group of Irish pilgrims to visit Medjugorje in 1984. Pilgrim is set in Dublin and Medjugorje and follows the emotional story of a father and daughter. After a major row with his wife, Sarah, Charlie Carthy storms out of the family home. Just hours later he finds out that Sarah has become the victim of a hit and run driver and is in critical condition in hospital. Sarah’s death and Charlie’s self-absorbing grief throws their daughter Jen’s life into turmoil. Will an unwanted pilgrimage to Medjugorje heal Jen and Charlie’s relationship, or, should Jen prepare to lose her remaining parent?